« Facebook Adopts Oracle Exalogic Elastic Cloud, Replaces Tens Of Thousands Of Servers. Memorable Conference Keynote Addresses. …then calmly close the door and get back to work! They’ll be exceedingly happy! You see, the DBA Team can say that and still be a good corporate citizen because this hypothetical DBA Team works in a 21st century IT shop where Database As A Service is not just something they read about in the same blog I’ve been following for several years, namely Steve Bobrowski’s blog Database As A Service. I encourage readers to view this demo of vFabric Data Director and read the datasheet because this technology is not just chest-thumping IdeaWare™. I am convinced this is the technology that will allow those in the DBA community to tell their application developers to “go do it yourself” and make their company benefit from IT even more by doing so. What Can This Post Possibly Have To Do With Oracle Exadata? Folks who read this blog know I can’t resist injecting trivial pursuit. The architect and lead developer of vFabric Data Director technology is one of the three concept inventors of Oracle Exadata or, as it was soon to be called within Oracle, Storage Appliance for Grid Environments (SAGE). 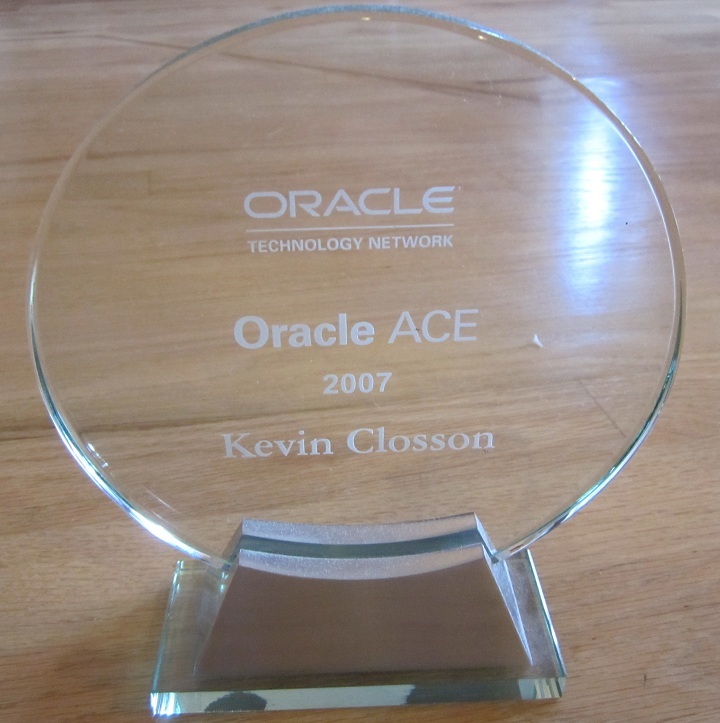 One of the others of that “team of three” was a crazy-bright engineer with whom I spent time scrutinizing the affect of NUMA on spinlocks (latches) in Oracle Database in the Oracle8i time frame. It is a small world and, don’t forget, if a gifted application developer approaches your desk for a timely, urgent request for database provisioning just tell him/her to go do it yourself! They’ll be glad you did! VFabric sounds interesting. It also sounds like Delphix are going to have very tough competition now. I don’t see Delphix in the same space whatsoever. I like the folks at Delphix and am good friends with the venture capitalists that partook in their very early rounds of funding. Maybe you, or our friend Kyle, can explain how these two technologies overlap? BTW, thanks for stopping by Gwen. I haven’t “seen” you in a long time. Place all your database files on our filer, and you can create development environments that don’t take up much diskspace (copy-on-write) with one click. When I looked at vFabric Data product page, it seemed to do exactly the same. Maybe Delphix got new sales-pitch since, or maybe I misunderstood the vFabric Data thingy. vFabric Data Director is not for development environments. There are multitudes of applications that can be nicely serviced by DBaaS. This stuff is for production databases. Choice 2 takes a substantial performance hit. Thus if performance an issue the you are stuck with each copy being an entire new copy which is were Delphix is quite different. On Delphix performance is unaffected by having clones share the original copy. That is a critical distinction. Actually due to caching affects multiple clones of the same database, virtual databases as Delphix calls them, can actually run faster. On top of that Delphix allows the copies to each be provisioned at different times down to the second or SCN off the original database. So I can have copies of the database from Mon, Tues, Wed etc all sharing the bulk of their data and yet being completely distinct databases. The real OMG is that after I’ve taken my initial RMAN backup of production database which Delphix typically compresses to 1/3 the original size, then in a few minutes with practically no extra space , I provide separate distinct copies of business database to everyone in the development team and on top of that have multiple merge copies for QA’ing code and schema changes. Instead of developers waiting a week or two for reviews before checking in their schema or code changes into the one precious copy of the production database, each and every developer can have their own copy and they can code as fast as they can and then code and schema changes can be tested rapidly on different merge copies. Great find on the video – I was present at the announcement and being a DBA I could understand how this could be useful and empowering, but I had a number of people ask me why they should care – that video explains exactly why they should care. Oh what I wish I could do this with my Oracle databases… Oracle, are you listening? But a good tool, nevertheless. In the proper hands.